This is a big deal. 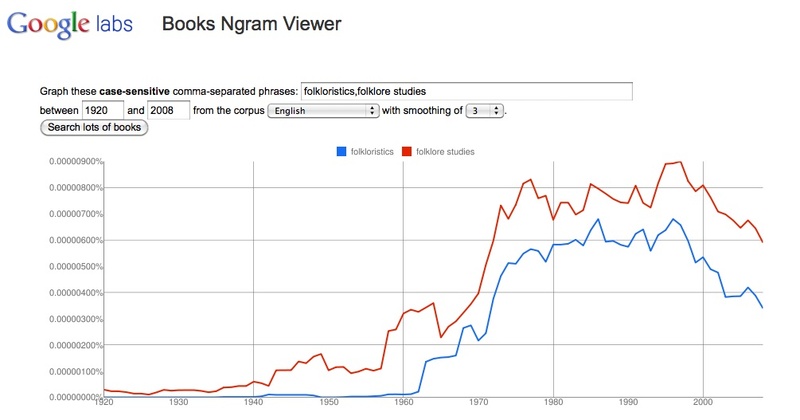 Google has released Books Ngram Viewer. Massive digital humanities text mining for everyone. Information on it is here. Try it out here. 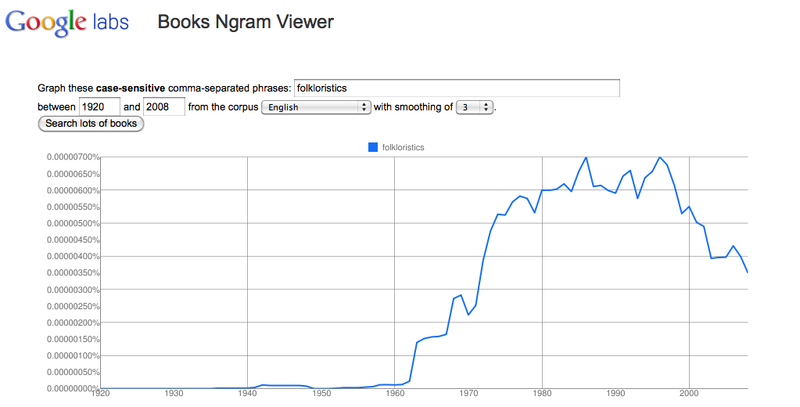 Below is the graph for the word “folkloristics” in English. Folklorists will understand the interest in this way of labeling their field. I ran a few classic tale type names through it and the lessons of that possibility were clear. Who can use this productively in time for next year’s American Folklore Society meetings in Bloomington?